If you want to create a dessert that’s sure to be a hit, one of the best strategies is to mash up two indulgent favorites. As baking and pastry arts enthusiasts know, after dinner is the perfect time to bend the rules and have some fun with your recipes. That’s why an unlikely combination like waffles and cake can take off as the next big trend. Chefs have found many delicious ways to combine the satisfying texture of waffles and the rich flavors of cake. Check out a few popular recipes for waffle cake, and then find your favorite way to bridge the gap between breakfast and dessert. 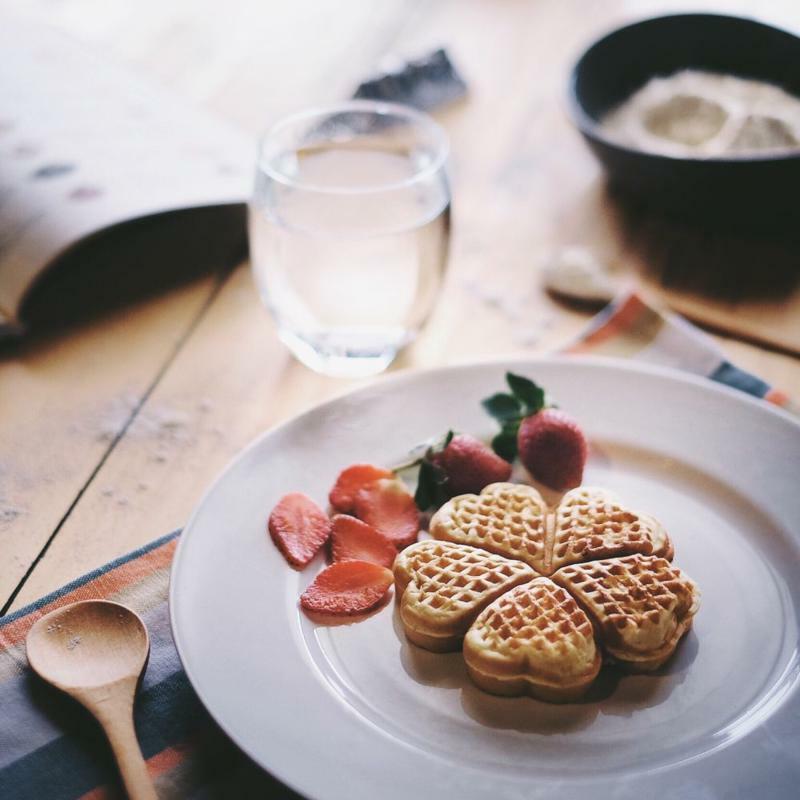 One great idea for completing the union between cake and waffle is drawing on the maple syrup flavor usually associated with breakfast. Tip Hero suggested a recipe starts with preparing three Belgian waffles, each seven inches in diameter, and setting them to the side. Mix flour, salt and baking powder. In a separate bowl, use a hand mixer to beat together brown sugar and butter. Beat in a cup of maple syrup and then three eggs, one by one. Gradually pour the dry mixture into the wet and mix together. Then, beat in buttermilk and vanilla extract. Split the batter between three greased, eight-inch cake pans, pressing a waffle into each. Bake at 350 degrees Fahrenheit for 20 to 25 minutes, and then move the pans onto a cooling rack. Set a layer of cake on a plate, covering with maple syrup. Repeat with the other two layers, finishing the cake off by placing a pat of butter on top. While waffles and cake might be a novel combination, bringing together chocolate and raspberry is a time-tested formula for great dessert. That’s why Food Network suggested adding pink raspberry cream and chocolate ganache filling to a waffle cake. To make the filling, first place freeze-dried raspberries and powdered sugar in a food processor set to pulse. Add heavy cream, mascarpone and vanilla extract, pulsing into a creamy mixture. Place semisweet chocolate chips in a separate bowl. Heat up heavy cream in a saucepan, and then pour over the chocolate, stirring until smooth. Spread the raspberry cream over each layer of the cake, forming a well for the chocolate ganache. Top it all off with fresh raspberries. A creative mixture of waffles and cake could change your dessert forever. For festive occasions, nothing beats a confetti cake – except, of course, a confetti cake that’s made with waffles. The directions from Sprinkles for Breakfast call for making the batter by combining eggs, vegetable oil, flour, milk, sugar, baking powder, imitation vanilla and salt. Once you have a smooth mixture, fold in sprinkles before cooking in a waffle iron. Prepare whipped cream by using a stand mixer with a whisk attachment to beat heavy cream and powdered sugar at high speed. Make icing by whisking together powdered sugar, milk and vanilla. For the right birthday cake look, add pink food coloring. Add the icing and whipped cream to the waffles, decorating with sprinkles. There are countless ways to bring together waffles and cake, so get in on the trend by experimenting with a few ideas until you find the perfect hybrid dessert. By drawing on a culinary arts education, you can try out a vast array of awesome tastes. Soon, you may have a new signature dish that offers a striking appearance, great texture, unforgettable flavor and plenty of fun.